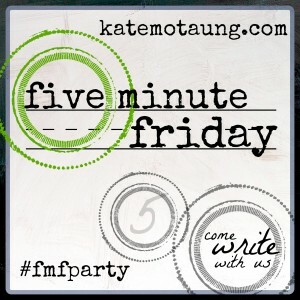 I’m up to my eyeballs in the 31 days of Christmas, but I cannot resist the challenge offered by Five Minute Friday! Today’s word prompt is PREPARE. I’ve got 5 minutes to write off the top of my head (or heart!). First I’ll drop in the graphic and I’ll link up my 31 days of Christmas because, hey, advertising is allowed! THAT was John the Baptizer’s plan and purpose in life. He was born to Elizabeth and Zacharias, in their late middle age, after being barren for years. He was made for this: Preparing the way for our Lord and Savior’s ministry here on earth. He called people to repentance. He baptized them and then one day as he stood in the river Jordan, he looked up and saw HIM. His cousin, Jesus, the son of the carpenter and his Aunt Mary. I wonder, was he prepared for that moment? Was he surprised to see him? Was he prepared for what came next? Me? Baptize YOU? But, Lord, I am not worthy. Prepared? Whether he was or not, John did. My kids have been repeating that phrase from Mass last weekend. My youngest also keeps adding John the Baptist to our litany in the evenings. I don’t usually feel like I’m doing a good job of preparing their hearts, but every once in a while I get some reassurance. Kids and bloggers give the best confirmation!!!! Thanks for visiting. Wow. I share in your Thursday evening and Friday morning experience. But we too can be just like John the Baptist prepared or not he showed up ready and willing and able to pave the way for the King of Kings. So glad I stopped by. Oh I like this, Joan. Prepared or not, he showed up and was obedient. THANK YOU. So perfect for the word prompt. John did prepare the way didn’t he? Oh yes he did! With his wild rebellious self! Great post on the word! Thanks for sharing! Michelle, thanks for visiting from FMF! Such fun to meet so many new people.